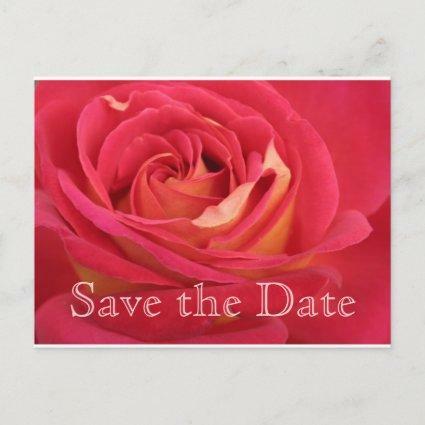 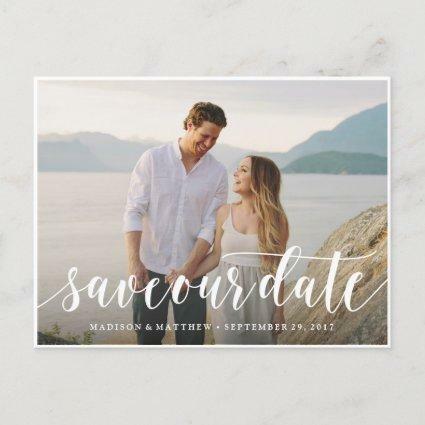 Send our picture save the date postcards with three photos to let your guests know to block off your wedding date. 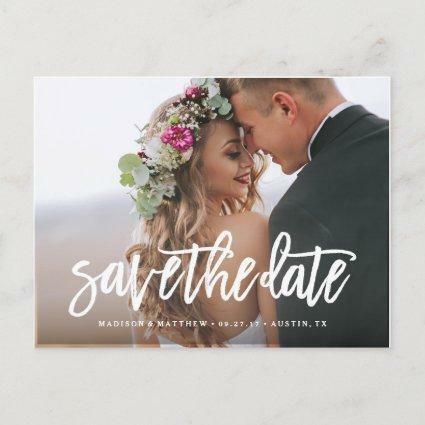 Tip: if you need to change the wording that is in the rustic script font, you can go to the "Personalize This Template" section then click the "Click to Customize Further" at the bottom. 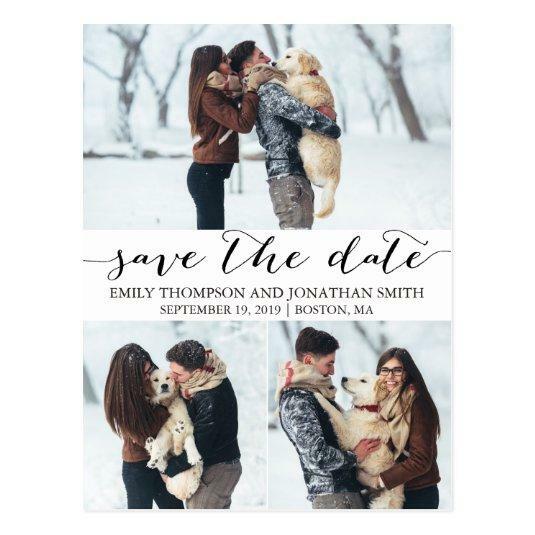 You can delete any of the text images that you need to and add your own text in its place with the "Add Text" button. 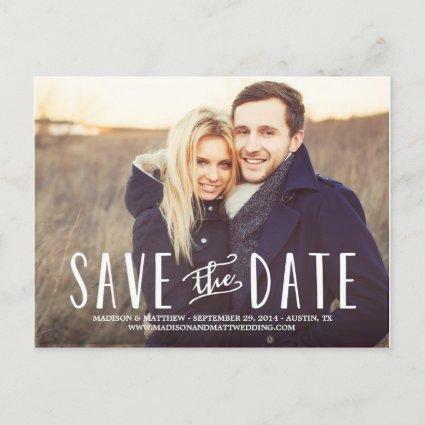 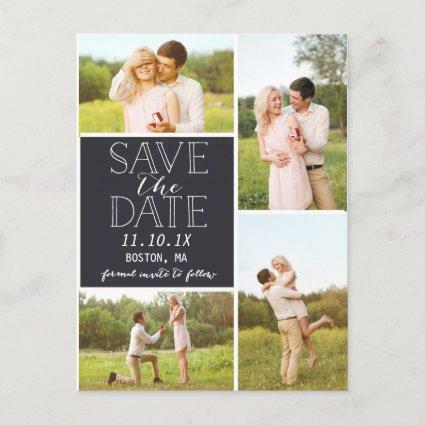 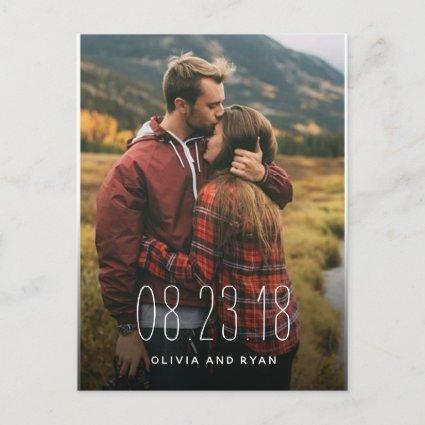 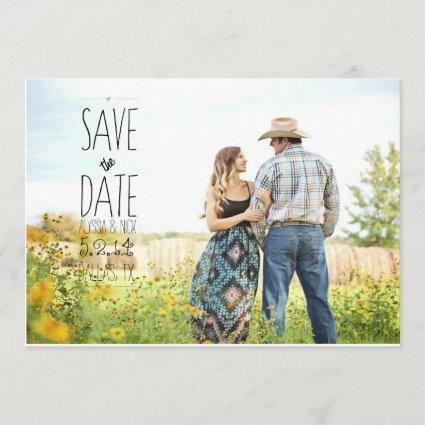 Be sure to check out our large selection of photo save the date cards, postcards, and magnets by browsing our Picture Save the Date collection!